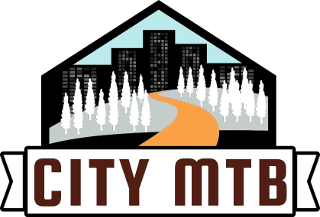 As an organization, City MTB is committed to vigorous, respectful dialogue between readers. We expect our readers to be here to learn from each other, not to treat other users or user groups with disrespect. Do to our belief in learning through conversion, please be aware that comments that are determined to be exclusively promotional in nature, profane, offensive, threatening or abusive will be deleted at the sole discretion of City MTB. Direct harassment or personal attacks of any kind on City MTB writers or fellow commenters will not be tolerated, also at City MTB's discretion. Such commenters will have their comment(s) removed, given a warning and banned if they engage in that type of commenting again. Also, persons who show a bigoted or dismissive attitude toward sharing public lands between user groups or make bigoted or dismissive comments toward perceived ethnic, racial, religious or gender differences will be banned without any warnings. Please contact us to report any violations of these policies. In order to make comment moderation easier, each post will be closed to new comments 30 days after publication. Please note: Disqus, the system we use for commenting, automatically flags very lengthy comments or comments that contain multiple links as spam. If you think your comment has been flagged and removed in error, you may contact us.